Best Practice Sharing to Help Control Static! Register today for the EOS/ESD Manufacturing Symposium in Germany. Solving business challenges for controlling ESD by networking with other ESD professionals and industry experts. Instructors from EOS/ESD Association, Inc., who developed the ANSI/ESD and IEC standards, bring you today’s current information and developments on ESD handling issues. Tutorials offering an introduction or great review for all ESD professionals. The EOS/ESD Manufacturing Symposium is focused on discussing the problems and providing the answers to electrostatic discharge in electronic production and assembly. Two days of ESD tutorials on ESD control. Technical sessions with papers on hot topics related to static electricity. A workshop which provides a forum to ask questions, provide comments, receive feedback, and learn from colleagues. Exhibitors presenting the latest products on static control methods, evaluation techniques, and many other ESD solutions. 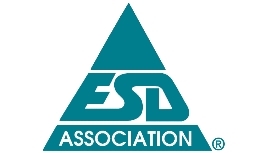 Founded in 1982, EOS/ESD Association, Inc. is a not-for-profit, professional organization directed by volunteers dedicated to furthering the technology and understanding of electrostatic discharge. EOS/ESD Association, Inc., sponsors education programs, develops ESD standards, and holds several annual technical symposia and workshops; all to foster the exchange of technical ESD information among its members and others. Additional information may be obtained by contacting EOS/ESD Association, Inc., 7900 Turin Rd., Bldg. 3, Rome, NY 13440-2069 USA. Phone: +1 315-339-6937. Email: info@esda.org. Website: www.esda.org.